Create a call to action SEO title and meta descriptions are important when writing a blog post. Because people are attracted by what instantly catches their attention. Search engines only display a Seo title in bold text and the meta description. So the question is if a user comes to a page of 10 Seo title and meta description, What are the odds that yours will be chosen? SEO Page Title Technique | Make People click! Although people click on stuffs for various reasons, there is a middle line to that. 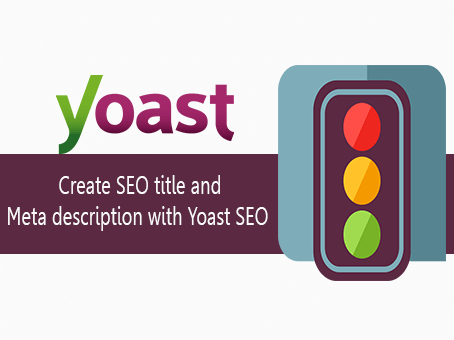 The free Yoast SEO plugin guides you to create enticing SEO titles, meta descriptions, and slugs to a page. They also can guide to write a quality post but that’s another story. A good Seo title surely motivates visitors to click your post or page. The snippet represents the summary of all text shown on search engines on search results. This is where you entice people to click on your text. The Yoast SEO allows you to easily check and edit the snippet of a page. The Yoast SEO snippet editor is located below the content before the readability tap. The snippet preview gives an idea of how a post will look and appeal to visitors in the search results. You can make an amendment by click on ‘Edit snippet’. You can edit the SEO title, slug and meta description. The Yoast SEO analysis checks focus keyphrase usage in SEO title, meta description, and slug. It is crucial to use the focus keyphrase of a post just appropriately to rank on search engines. Yoast also directs post writers effectively on how, where, and how many times to use focus keyphrase within a content. Yoast SEO Premium has an exclusive feature that recognizes word forms, like plurals and tenses. And, you can set synonyms to the keyword as well. Yoast also offer assistance in setting Seo title Besides optimizing individual posts and pages. The Yoast plugin lets you set and create templates meta so you don’t have to think too much.